Pay per click is a great tool in local seo, and internet advertising for generating more traffic to your website. Pay per click advertising can be found on the top of the search results page of search engines in the shaded area, as well as, on the right side of the page. These areas are marked as sponsored results. Sponsored results account for about 15- 25% of clicks from search engines. The first thing that people say when I say sponsored results on the right side of the page, is that they never click on any ads on the right side. This is one of the biggest benefits of a pay per click campaign. If no one ever clicks on your ad, you never pay anything. By investing in the sponsored results of major search engines like Google, Yahoo, and Bing you give your business thousands of impressions on peoples minds sometimes without paying a penny. Another benefit to pay per click advertising is that you can choose any keyword that you want to appear on the first page of search results. Many times search engines will even start your advertising in as little as 15 minutes after you set up your campaign. In part 2 of internet advertising defined we will uncover sponsored results, and simple tips to keep your costs down while making sure that you get the most from ever click to your site. Many people believe that they must pay an internet advertising company to do a pay per click campaign for their business. This is simply not true. Setting up a pay per click campaign is free for anyone. To sign up simply search for advertise and the search engine that you want, and the first result will walk you through set up. For example, search for advertise on Google?. The first result will be Google Adwords with instructions on how to sign up. It will then walk you through set up from choosing your area, making a payment, creating an add, and choosing keywords. A small pay per click campaign (5- 20 keywords) with select keywords that are most important to your business can be set up and maintained without the help of an internet advertising company. With a little patience, and time you can create a successful campaign that will bring you customers. Simply consider these 10 tips. 1. Make sure your website has your business name & phone number promient on the landing page. 2. Make sure your website has meta data(title, description, keywords) relevant to the most important keywords to your website. 3. When you create your ad, be sure to include keywords in the title & description. 5. Make sure the landing page the you pick has the information that you promised in your ad. 6. Only choose keywords or synonyms of keywords mentions on your landing page. 7. Include “negative keywords” that you don’t want for your business. 10. Remove keywords that don’t convert to customer and add new ones. If you are unfamiliar with any these terms, they will be further explained when you set up your campaign on any of the search engines. If however you are unable to change your website to include meta data or make your phone number prominent on your landing page, for example, contact your local internet advertising company for assistance. Lastly, if you don’t have any experience with pay per click and you are considering building a larger campaign than 20 keywords, I recommend that you speak with a web professional to assist you with your campaign. There are many companies that offer pay per click advertising. When choosing the right company for your campaign, be sure that your campaign will include all of these 10 factors. In conclusion, pay per click is a great way to generate relevant traffic to your website. 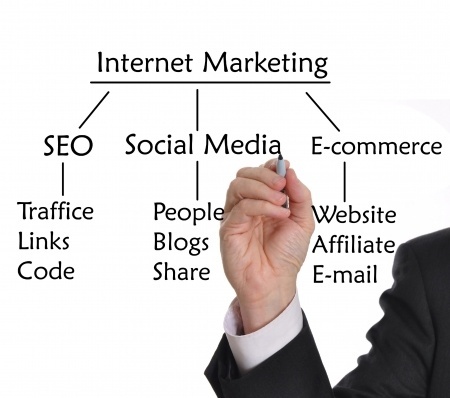 This form of advertising only account for 15-25% of clicks from search engines. If you are investing in pay per click advertising, and need more website traffic then congratulations you are ready to move on to part 3 of local seo and internet advertising defined. If you need pay per click advertising in Atlanta, GA call (770) 766-5600, or browse our website for more information on seo advertising Are you interested in seo and internet advertising but want to know how much it cost? Take a look at our internet advertising prices.